By undergoing VIT, I successfully reduced my sensitivity to honeybee venom to safe levels! 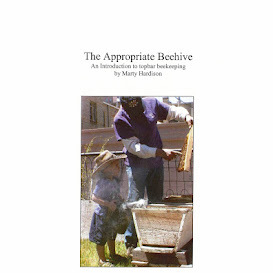 After taking several years off, my interest in beekeeping has not waned, and I'm anxious to restock our hives. I'm just not sure how to proceed since we're still planning to move out of Colorado. Should I restock and run the hives but then give them to someone if we move? Would someone buy fully stocked hives? What about the fact that one's a Top Bar Hive and one's a Warré? Should I run just one, with plans to leave it behind and take the other with? Which one to run? Which one to take? Should I run the one I prefer or the one I won't mind leaving behind? Which one do I prefer?! The mind wobbles. What about you? What are your plans for this season? If you're in the Denver metro, maybe my bloom calendar will help you think them through. Just keep in mind that the dates can shift a couple of weeks in either direction depending on weather conditions. For example, the excessively warm 2017/2018 winter had elm trees blooming well before Valentine's Day. The snow storm on President's Day, though, cut short its blooming period. You can click on any of the events for more details and additional reading. I hope you find it useful. Spring forage has been late to arrive. Silver Maples, the first real food every year, were a full-month behind schedule. My daffodils and tulips are only just pushing up, no buds in sight yet. This photo is from 2011, when this flower bed was new. In the 8 years since, the Tête-à-tête and Scilla siberica have not colonized as we are warned they will. The Snow-in-Summer is spreading, but slower than molasses. So that's what's blooming in my Colorado garden. What's blooming in yours?